The enemy of the wood in your piano is the climate you live in. High humidity in the summer and bone dry during the winter causes wood to expand and shrink dramatically. The result? Soundboards crack, tuning goes crazy and keys don't play properly. The Piano Life-Saver System from Dampp-Chaser is the best solution. The combination of humidifier and dehumidifier creates a 'micro-climate' under the piano. This technology senses the level of humidity and maintains the perfect level for your piano. Soundboards stop expanding and shrinking and tunings remain stable, longer. The system is low-maintenance for you, the owner and your investment (the piano) is better protected. 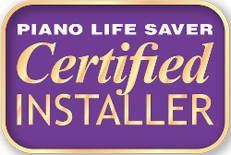 ​We are certified installers of the Piano Life-Saver System from Dampp-Chaser. 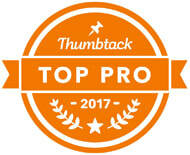 Prices include the system appropriate for your piano, installation and follow up tuning. Systems are available for grand pianos and vertical pianos 44" and taller. 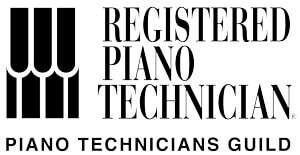 Prices include: Complete Piano Life-Saver System, professional installation by a Certified Piano Life-Saver Installer and follow up tuning 4 weeks after installation. Protect your investment from the effects of extremes of humidity and dryness. A Piano Life-Saver System can help extend the life of your piano, help tunings hold longer and keep you enjoying your piano. 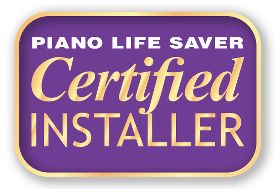 Price includes complete Piano Life-Saver System, professional installation by a certified installer. ​This system is only for vertical pianos 44" tall and over. We do not install them in spinet or console pianos. Systems that need to be installed on the back of the piano are $100 additional.